After Brexit, should the UK just join the EEA? As Brexit negotiations get underway, it is becoming increasingly difficult to see how the UK can pursue its former “have your cake and eat it” strategy, particularly when it comes to a trade deal. Some of the most ardent Brexiteers want a totally clean break from the EU. Under this model, the UK would leave both the customs union and the single market. But after the general election, this “hard Brexit” now seems highly unlikely. One alternative option is to secure continued participation in the European Economic Area(EEA). This is the arrangement that was originally established in 1994 to extend the single market to Austria, Finland, Iceland, Liechtenstein, Norway and Sweden. Today the EEA encompasses the EU and Iceland, Liechtenstein and Norway. Sweden, Austria, and Finland became members of the EU instead. The UK would withdraw from the EU and join the European Free Trade Association (EFTA). It could then participate in the EEA agreement, a dynamic arrangement bringing together the EFTA member states with the EU in a single market. 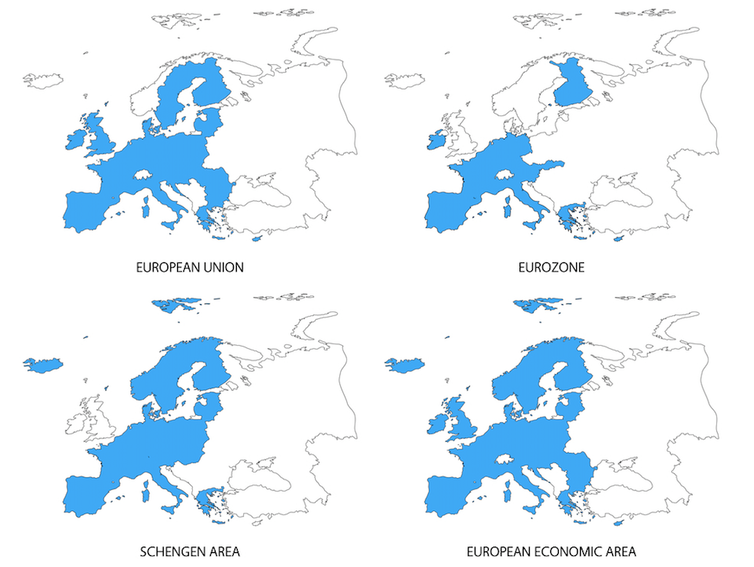 Non-EU countries are expected to adhere to EU laws covering the free movement of goods, services, persons and capital, but legal disputes go to the EFTA court, not the EU’s Court of Justice. An important attraction of the EEA option is that it is a known quantity. The EEA is well established and the obligations and benefits are clear. It would offer valuable certainty and clarity about the future. Such clarity is not available under any other Brexit deal at the moment, at least until trade negotiations are complete, which may take a very long time. With the EEA, the economic situation and trading environment that EU membership has delivered would remain substantially unchanged, allowing much of the status quo regarding the EU single market to be maintained as far as the UK is concerned. The legal framework, however, would change fundamentally. Before the election, the UK government rejected the EEA option. So why has this idea suddenly become a more tempting? The EEA agreement meets several of Theresa May’s apparent negotiating red lines – no part of the UK would remain in the EU; no part of the UK would be subject to ever-closer union; no part of the UK would be subject to the jurisdiction of the Court of Justice. Although inside the EEA single market, the UK would be outside the customs union. EEA membership would also address important aspects of one of the trickier dilemmas for the UK: how to deal with the Irish border after Brexit. The EU-27’s position is that dealing with the Irish problem is one of three “divorce” issues on which substantial progress must be made before future relations between the UK and the EU can be addressed, including any free trade agreement. Membership of the EEA addresses important aspects of this, allowing the EU-27 to move to the free trade agreement that is the UK’s real aim. It’s very possible that the EU member states would be on board with this option – the arrangement has worked well with Norway. It’s less clear whether Norway, Iceland, and Lichtenstein would be happy to let the UK into the EEA – why let the cuckoo into the nest a second time? But it’s not out of the question. The obvious question for many is if the UK were to join the EEA, what exactly was the point of the referendum? Membership would mean in effect being a member of the single market, free movement, and being bound by substantial parts of EU law, indirectly, with a reduced capacity to actually influence that law. So much for “taking back control”. This points to a fundamental political difficulty with the EEA option. Even with DUP support, May still only has a two-vote majority. This means, of course, that if even a small group of hard-line Brexiters revolt, she will be defeated when she presents her Brexit deal to parliament. Could she bring all her backbenchers along with her in support of UK membership in the EEA? Doubtful. So, May seems on the horns of several very painful dilemmas. Even assuming that the UK is able to formulate a coherent negotiating position, will it long survive, or will the government’s internal contradictions lead to a breakdown of the negotiations with the EU-27? But perhaps the sheer impossibility of achieving the UK government’s contradictory wish list will result in a decision to adopt the most sensible option of all: remaining in the EU. The EU-27 should hang tough and offer no concessions to the UK at the present time. A hardline approach in Brussels is perhaps the only way now of bringing British public opinion to its senses. Bring them to the cliff edge, and perhaps they will see the logic of not jumping off. Christopher McCrudden is a Professor of Human Rights and Equality Law at Queen’s University Belfast. This article was first published on The Conversation and can be found here. Image credit: CC by Foreign and Commonwealth Office/Flickr. Previous Post Ruth Davidson, the Queen of Scots who will be the Tory party’s saviour? Next Post Young voters and their “never Tory” mindset: the making of a Labour generation? Walking them to the edge of the cliff to have a look over might – hopefully – encourage them to see sense. But getting from there to an actual Remain vote is still a huge political stretch and comes freighted with a risk of no agreement at all as the Art50 clock ticks down. What are your odds on a Chaotic No Deal Brexit?